This easy-to-make appetizer is filled with Neese’s Country Sausage, goat cheese — and delicious flavor. Heat oven to 350º. Clean mushrooms and use a spoon to gently scrape out the gills. Cook and drain sausage. Mix with goat cheese, zucchini, red pepper flakes, and salt. 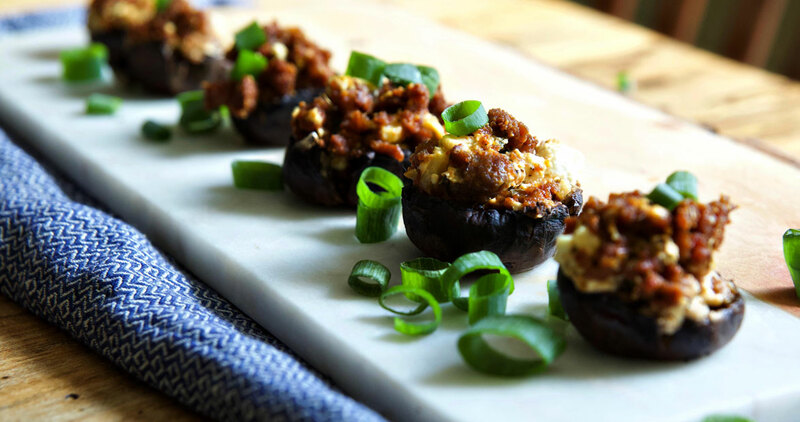 Gently fill each mushroom cap with a spoonful of filling and place on a baking sheet. Drizzle with olive oil and bake for 20 to 25 minutes or until the mushroom is soft.